A few years ago I went to Ernie and Erica with the idea of a shippable core. Ernie told me that the idea was not new. However, the one thing I pressed for did sound new: that the core would be casted and would include a manifold. In second place was Erica's cast core that did not include a manifold. Erica is clearly the big winner. Unfortunately, that core went to the tipi outside and was subjected to freezing and thawing before it could be fully heated properly. So it developed cracks. But Erica's work led to lots of inspiration and then perspiration. Erica came back and worked with my brother Tim to come up with better molds, better mixes of castable stuff and something like a poor man's kiln to properly cook the core. .... but we are working hard on being able to get a design completed that will be able to shipped to somebody's door (in the US) for a total of $500 or less. Plus, several people who attended the workshops went home empty handed. Those people will get the prototypes that seem to keep working. I want this thread to be the central place for all things involving a shippable core. For all of the information being developed here, I plan on sharing it. We (me, Ernie and Erica) are still open to the idea of supporting somebody who takes these designs into production for a business. Ernie and Erica are powerfully focused on R&D and I have a powerful need to see this product exist (and no interest in being in this particular business). I do know of one guy that I have spent a few hours on the phone with .... and he has been here .... and he has some amazing ideas in shippable cores - but I am sworn to secrecy. I really hope to someday see his product. I wonder how much it costs. How big it is. How do you connect it to the mass? It certainly has a wood feed, riser and manifold. Dragon heaters has had something out for a while now, but every time I look it seems to have two or three things that fall short of what I am looking for. 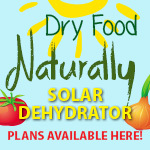 I have great hopes that their products will evolve into something that I wish to support. An important point to note about the castable cores: my understanding is that when removed from the cast, the core keeps its shape through a chemical bond. A pretty decent bond, but not a great bond. What's better is a ceramic bond - which comes from high heat. Usually jumping into the high heat is not wise - better to get there slowly. Paul, you have never said what the two or three things that fall short are. We still have no idea to what you object about our shippable core. Our emissions and efficiency numbers on all three sizes of cores are very good. If you said what you didn't like, at least we could have a discussion about why we made the design choices we did. What are the materials being used to make the cast? What is the oft-mentioned but yet undefined "magic goo" that Erica brought? Is it for actual casting sealing gaps or what? Paul, in the completed cores shown in your post the overall thicknesses are high, is that because the materials require that kind of thickness? Could the cast cores be made thinner with material providing structural support (in non combustion areas)? Always interested in this. Thanks for what you guys are doing in this space. For some weeks now I've been working on a core with the intent that it might be shipped or moved at some point. I've run into lots of snags. After the last snag, I went on a youtube binge and stumbled upon a technique known as "slip casting". Currently there are 1/2 scale plaster molds in the works in my basement. If this works out, I think it will fall into the realm of "freaky cheap". Really? You want to play the "never" card? So all I have to do is find one instance. Like this one. So, in that post I point out two concerns about your riser design. Gaps between the boards, and what is holding the boards together. To me, it isn't a core until it contains a manifold. I know that you recently came out with some prototype stuff that includes a manifold. Very handsome looking. Very expensive. I'm trying to grok some seals with some of the designs. When Erica was last here, she mentioned that you guys were sending her something to test. I'm looking forward to hearing her feedback. paul wheaton wrote: A few years ago I went to Ernie and Erica with the idea of a shippable core. Ernie told me that the idea was not new. However, the one thing I pressed for did sound new: that the core would be casted and would include a manifold. I was unsure how to build the heat riser and then looked up Cement tubes, and found that basalite has a lovely 8" diam X 12 " flue liner made of clay. I bought that for $17. Gaps between the boards, and what is holding the boards together. There are no significant gaps between the vermiculite boards in the heat riser. Any minute leakage does not impact performance as we have documented on our blogs. We didn't answer this before because the pictures on our website show the screws. To be specific, they are 316 stainless steel screws rated for 1500°F. To me, it isn't a core until it contains a manifold. Our view point is that the core should not include the manifold because an integrated manifold restricts design options. If the only available implementation of rocket heater efficiencies involve a steel drum and lots of cob, some people will not be interested. We want to offer efficient wood-burning to everyone, so we have designed ways to use this combustion system which would not be possible if the manifold were attached to the core. We call one of them a castle build; we have designed one for each size of shippable core. The castle builds are faster to erect, store more heat in a smaller footprint and less weight, and have more "decorator" options than a traditional rocket mass heater of the same size. See attached photo. On the other hand, they are also more expensive than a rocket mass heater made with "found" materials. We have 2 designs which do involve a steel drum. In both cases, we created a large gap in a metal plate for the gasses to fall out into the 6" stove pipe hole. In one case, we supported the barrel with fire clay bricks; in the case of the "portable" 6 inch, the metal box supports the barrel. 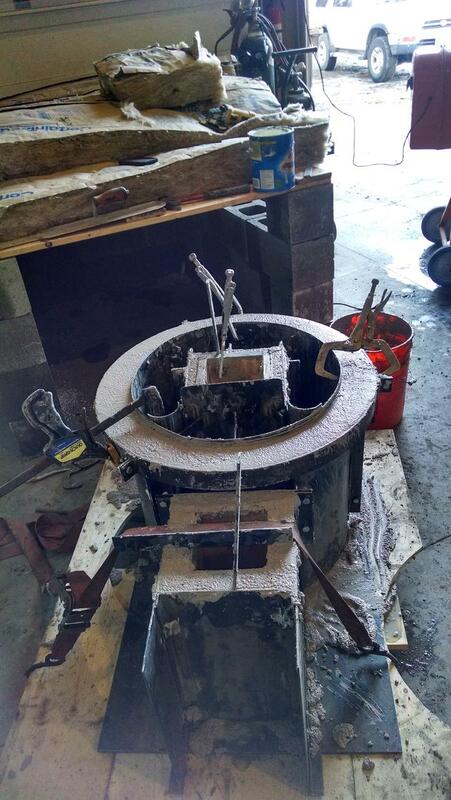 In both cases, the seal between the steel drum and the steel plate is accomplished with a high temperature gasket. Also, each drum is attached to its base with stainless steel latches so that they can't be tipped out of place. Paul, do you have any other concerns we could address? Jesse Biggs wrote: For some weeks now I've been working on a core with the intent that it might be shipped or moved at some point. I've run into lots of snags. After the last snag, I went on a youtube binge and stumbled upon a technique known as "slip casting". Currently there are 1/2 scale plaster molds in the works in my basement. That looks like something that could work well. Does it translate to cob or cobish though? The one thing that I see as a deal breaker when using clay or cob (not sure about refractory concrete but I am thinking it would affect the longevity there too) is casting the core and the manifold as one piece. It can be done and come out looking nice, but in the long run, you have one piece with two very different heat zones. The temperature difference may be from room temperature (room temperature at startup may be -40 degrees in the case of an outdoor RMH) to around 2000F from core to manifold. I think this is one of the things that some of the other ideas have right is two parts. The one thing that is likely to either help this to work... or provide more complications is the insulating qualities of the mix. That is, something with no insulation will be more likely to crack between heat zones than something with lots of insulation. The guys that design masonry heaters (the good designers) try to have the temperature change evenly through the flue path and generally still (even in one made with cob bricks) "float" or isolate the fire box. This is especially true with single skin heaters. While most of the RMH seems to end up being double skinned, the barrel at least is not and the manifold is not... at least in the original design. Also, I don't know that the double skinned portions are classed as such because there is no air/other space between them. Masonry heaters seem to have a layer of cardboard between the inner and outer skin (this burns out with use so air or ash I guess - from looking at teardowns). It's been about 30 years ago I started to wander in the strange world of casted refractories. Some observations: the casting as shown is cast in one piece, the mold is strapped to the boards beneath it, the boards themselves are floating above the floor as it where. The casting itself is relatively free of air pockets so I'd think some form of vibrating table is used, otherwise it wouldn't be necessary to strap the mold to the boards in the first place. Maybe one or more car tires beneath it and an excenter motor somewhere in order to vibrate the thing during pouring? I have to agree with Len Ovens, this casting won't stay in one piece, the heat zones are too far apart concerning temperature. The hotter parts are expanding more rapidly and will crack apart from the cooler parts. A ceramic part would be very beautiful, but will suffer from the same expansion problems, without any doubt. There's another consideration against one single casting in play here, namely cost. The hottest parts are also the parts that could recieve abrasion from the fuel or cleaning out actions. So material that is soft and insulative can't be used for feed, burn tunnel and the lower region of the heat riser. The level of heat resistance should be about 2400 F here, way more than the rest of the casting. 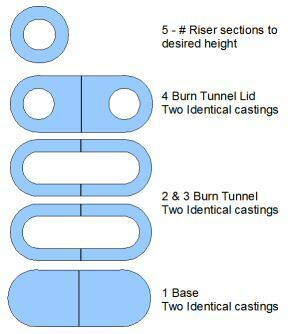 When this complicated casting could be split in two or three separate parts, respecting the different temperature zones, that could bring the price down significantly. Let's say 2400 F level for the core, and say, 800 F to 1000 F for the manifold? The manifold casting could be made from more insulative material and most likely much cheaper. In this respect, one could look into mixes using normal portland cement. As long as the structural integrity of the thing is not into play it's possible to use expanded clay or shale instead of sand and grog as aggregate materials. The insulating properties of the expanded material will protect the underlaying structure. Also, this will very much reduce the weight of such a casting, cheaper in transportation of the finished product as well. See this link for some documentation about this subject. I would say, separate the core from the manifold and use two different materials to cast those. Reducing cost and weight, less prone to crack apart. Assuming the heat issues are dealt with between hot cool areas, the only part of the system that has abrasion problems is the feed and tunnel, specifically the bottom. In both long term RMH and masonry heater operation, Riser and the fire box throat have withstood time and higher temperatures than the burn area itself for many years. In fact some masonry heater builders make their fire boxes out of double layer splits with the inner layer being considered sacrificial (may only need to be replaced every 30 years). So far as the RMH is concerned, the risers built with highly insulative material seem to be in good condition as much as 30 years down the road too. So I think it is ok to use insulative material in the hot areas, but I would suggest lowering the feed/tunnel floor 1.25inch to allow a layer of firebrick splits to be laid in. The "fire brick" could be locally formed clay/sand bricks but would require sooner replacement. It could even be a layer of pebbles or split rock. Pebbles would be harder clean ashes out from though (ashes would fills the voids between.the pebbles making it more insulative on the other hand). As far as I can see, there's no fixed floor in that casting. The only option would be to have a burn-out core in the burn tunnel then. Better is to use a separate firebrick floor underneath the casting, much simpler to produce. I would want to be able to replace the fire brick without lifting the core That is why I would want it to fit inside of the tunnel. It would not be fun trying to remove the used firebrick even then, but doable. I could not see the floor or lack there of from the pictures, I assumed floor. But in any case raising the the tunnel height would work too. Building a high mass heater is a lot of work/costly, having it last a long time (as long as the house anyway) makes sense. Not sure if I'm adding to the conversation but couldn't the Burn tunnel be cast out of stoneware slip? Its highly abrasion and crack resistant (high grog versions at least) and can safely go to 2k F.
Paul, With all due respect I think you're getting a little too far out there with your criticisms. You are the promoter and your knowledge of rocket stoves is significant but recent like most of us. I don't know any of you, including the people from Houston but from my point of view you seem to be promoting Erica and Ernie and then defending them when they are challenged. Let them speak for themselves. Erica's response to the Houston person seemed well intentioned and she gave a significant amount of information in response to some comments but the Houston criticism seemed very appropriate and helpful to me in clarifying/challenging her post. I see both of those parties as very experienced, skilled, obviously very smart individuals. We need them. The process they're/we're engaged in is "peer review", which by nature involves being challenged, defending, re-thinking, praising, changing your mind, apologizing, citing as a source when incorporating others' ideas. If the participants are tough enough to endure the criticisms they will grow, their production will improve and we will benefit. I've learned a great deal from what I've read on the permies website. I hope to see more and contribute more as we continue to build the underpinnings of a society that can make it with the planet instead of destroy it. Mr. Egan I agree with you that people who add to this community should be valued and that any positive contribution is for the good of the community, even if it presents criticism. I do not think that every post for any reason is positive and deserving of value. It appears that there are those who hold the opinion that the debate and discussion about rocket technology is over, just head on over to their website, buy their product, debate, discussion, and innovation need not apply. Repeatedly on this forum I have seen this happen. In addition to just suggesting that the answer is found already it seems this opinion also rises up in "defense" of their claims on ANY post that does not come out of the gate endorsing their product as the above referenced "answer". 1) Paul continues discussion and innovation. 2) Post appears promoting one company and begging Paul to explain why he isn't endorsing them instead of continuing discussion and innovation. 3) Paul explains himself, again. 4) Someone reiterates the single company "answer" or defends the poster. 5) Now the thread is no longer about innovation but instead about a ridiculous back and forth over whether innovation or the promotion of someone's proprietary product. I welcome all constructive input and opinions of all shapes. That said, I am pretty much done with anyone trying to drive sales by pushing their product in this space and trying to undermine the conversation that takes place here. When certain people name their company in every post, add their website to every post, and hide behind proprietary double speak instead of adding to the innovation they need to go away they are the problem not part of the solution. There is a place for out of the box technology in the RMH world. I would say trying to market it to the people innovating in this space is a mistake. Asking for people to come up with a "shipable core" is setting up a competition. That's how Paul set it up. His comment about Matt Walker's stove indicates that. You will get people pushing their products. That's the marketplace but it gets messy when it mixes with the open source exchange of ideas which involves questioning, challenging, critcizing, etc. Competition mixing with cooperation, a complex dance we all do. Egos get hurt. Comments are taken personal. The other issue for me is clarity. I think Paul should work on being more clear about what he wants. It seems he wants to have Ernie and Erica benefit in some way from whatever shipable core business he ends up promoting. He appears to be screening, evaluating applicants for various components of the business: manufacture, shipping, etc. while at the same time he or people who work with him are also experimenting with designs. There's nothing wrong with any of that but I think he should lay it out more. A little bit of clarity never hurt anybody lol but sometimes asking Paul for clarity brings the conversation further from the point because of all the (pertinent, but lengthy) rationale. I enjoy listening to Paul ramble in the podcasts explaining things sometimes because of the winding path a lot of the stories take. It doesn't take a lot of listening to know what Paul wants though especially in this case. A tall order, but Paul is a bit of a perfectionist when it comes to this stuff I gather. So your core arrives, you move it into place, you drop your (perhaps included) barrel over the riser and seal it up, you attach your ducting and you start your test burn. Sounds pretty sweet especially because Paul wants all that to happen in under 30 minutes, perhaps quick assembly would be point viii. Getting to that place is what I'm interested in. Competition is great but if any of those points are out of alignment you know it's going to be called out and that additional research trying to achieve that will be arranged. has anybody out there heard of mullite? As an Engineer I agree with the assessment about the need to do two separate castings due to heat stress fracturing considerations. If you want the stove to last this is a must! I have an idea how you can still ship a core and manifold in one, but you also need access to injection molding technology. The idea is to cast the heat heat riser out of high temperature refractory cement, then to set the cured riser into another form for injection molding a high temperature RTV Silicone spacer on the top and bottom surfaces of the heat riser near the outside edges.The heat riser would then be put into another form such that the RTV Silicone is slightly under compression and then cast a low temperature refractory cement for the manifold and feed box. The RTV Silicone will create a seal between the two castings, and will provide stress relief as the different materials expand and contract at different rates. Leaving room for sacrificial fire bricks (as was noted above in this thread) is a good idea. 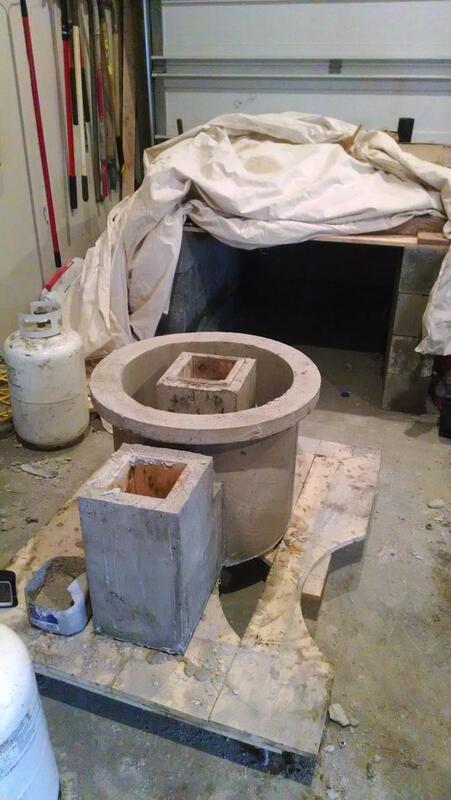 Also, I have some ideas for a shippable rocket stove & mass if anyone want to work on it with me. All of the designs and bill of materials would be released under the creative commons attribution & share alike licence: http://creativecommons.org/licenses/by-sa/3.0/ (Everything below this line should be conidered to be under said cretative commons licence). A good design could probably be included into Open Source Ecology's "Global Village Construction Set" http://opensourceecology.org/wiki/Open_Source_Ecology as well as be manufactured and sold by anyone. In regards to some of the comments in this thread: I am quite picky about language. Perhaps others are more tolerant. But when building things, including when building relationships, I find "you have never said" to be rather offensive when I have said. I even find it to have a rather accusatory tone. And then when I provide a link to where I have said, then a person could say "oops, sorry about that. I don't know how I missed that!" Instead I feel .... badgered. I feel like I am expected to do as I am told unless I can provide a convincing reason not to. the entire conversation is framed as master/servant where I am the servant. I'm just not a big fan of this communication style. So when it is presented to me, I guess my response will appear like that of a disobedient servant. As for "competition": I am perfectly comfortable supporting multiple shippable cores. At the same time, I feel like I have put a lot of money into R&D and I know that E&E put an enormous of time into R&D. And E&E then share very openly and freely. I know of a lot of people that are experimenting in this space, but they are keeping their discoveries to themselves. Which is perfectly fair. But I feel that if E&E have put a lot into the design they end up with, it would just be right to send a few bucks to E&E as part of the product. I very much like the idea that there will be a dozen different styles of shippable core on the market. And I will support the two to six that I like best. In the meantime, when people came to the rocket mass heater workshop here, I told people that as part of the workshop they could build their own core and take it home. During the workshop, on the box style was built, installed and fired. At the same, E&E each had alternative designs and .... when everybody went home, very few people took home artifacts. My current R&D is connected to a powerful need I have to make sure that those people that expected a core, and expressed which one they wanted, still need to get that core. We built another box style core and sent that off to one person. And I will post again about the castable stuff in a moment. All castables have failed here. The one that lasted the longest was the one with lots of reinforcement in the goo. It was also the lightest. But it eventually crumbled too. It also cracked in a spot that seems like it would not ever get much warmer than room temp. This leads me to think that it might be dealing with high temps just fine - it's just that the material is not very strong. Although we are exploring some ideas that we might need to improve our kiln process. But we are also thinking that a kiln process is time consuming and energy consuming. So, that drives the price up. We are going to start limiting experiments to riser segments with the idea that we want the material to pass that test before trying a full core. I find "you have never said" to be rather offensive when I have said. I even find it to have a rather accusatory tone. And then when I provide a link to where I have said, then a person could say "oops, sorry about that. I don't know how I missed that!" I apologize to you, Paul, for falsely accusing you of never saying what your problems with Dragon Heaters are; this was inaccurate. I also apologize for my tone. You did mention the heat riser in the thread this summer. We didn't answer the objection (at that time) because the screws which hold the vermiculite board together are visible in the pictures on our website. Since the combustion is not being pressurized in any way by our designs for the rest of the mass heater, any minute gaps between the joints of the board do not impact anything. As for "competition": I am perfectly comfortable supporting multiple shippable cores. You are comfortable endorsing multiple offerings, but a lot of the people come to this forum wanting to build a heater for virtually free. Moreover, Ianto (from what I read on the website for the book) is still promoting the "build a wood-burning stove out of what other people throw away" idea. Multiple companies can't be supported in such an environment. paul wheaton wrote: All castables have failed here. The one that lasted the longest was the one with lots of reinforcement in the goo. It was also the lightest. But it eventually crumbled too. It also cracked in a spot that seems like it would not ever get much warmer than room temp. This leads me to think that it might be dealing with high temps just fine - it's just that the material is not very strong. Although we are exploring some ideas that we might need to improve our kiln process. Above you say "goo", I am assuming this is "clay +" goo? I had thought there was a core made from refractory concrete as well, how did that do? Something that may be related, One of the big differences from clay brick to firebrick is the kind of sand used. Most clay brick uses silica based sand (the most common) but firebrick uses a different sand that expands much closer to the rate of clay when heated. Regular sand expands slower (I think that is the right way around) and after repeated heat cycles the sand chunk separates from the clay weakening the piece. Using crushed firebrick instead of sand is supposed to work well. The firebrick I am talking about here is the dense, cheap stuff that can be had from fireplace tear downs for free. I was just reading however, that this older firebrick may contain asbestos... so don't breath the air with it's dust... yes you must hold your breath for the whole time Ok, that won't work. Maybe grind it wet unless the firebrick is new. Multiple companies can't be supported in such an environment. Sure they can. Turns out people who want to buy clunker cars have no problem with companies selling high luxury vehicles or companies selling brand new economy vehicles. There is more than enough room for a lot of innovators in this space, if only because big freight shipping would be so much lower from a more local supplier rather than all the way across the country. @Paul, any chance the cracking failures are because of heat stress? I know there's no floating firebox in single piece cast core and the temperature differential is extremely high. What do you think? Earlier today, I spoke with Paul. This is how I remember the design we discussed. Basically bricks and duraboard wrapped in cement with lots of perlite aggregate. Oh and a cement and perlite manifold. I'm not sure why more mention is not made of using some kind of significant reinforcing material in the cast cores to prevent fracturing. 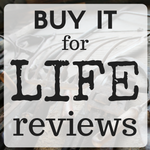 Like rebar in concrete? Something as simple as chicken wire embedded in the casting, or more ideally fiberglass mat or cloth. Different composition for the highest heat areas and the extended core areas sounds simple enough as does incorporating some actual firebrick. Also a steel insert/top plate incorporating a P-channel (I saw this as an idea for additional cooling of the feed tube as well) for the opening of the feed tube to reduce wear of a cast material. I'm really liking Jesse Biggs last post on a design idea. Jesse, that looks like it alright. Although I prefer the idea that the manifold is cast with the rest. Another idea is to make the manifold much smaller. instead of the exhaust travelling down below the barrel on most sides, what if there is a more simple platform and the exhaust simply travels into a smaller exhaust collection area? Here is my feeble attempt at drawing the shrunken manifold. And realizing that it makes the manifold too small - I then try to expand it a little. I can measure the cross sectional areas in the model. The pics I just posted give you a couple more square inches than you need. So the red area is greater than 50 square inches? paul wheaton wrote: So the red area is greater than 50 square inches? Oh! I guess it is! I've read extensive discussions about the size of the manifold area here and on the donkey proboards (research by Peterburg), and the conclusion was that it needed to start at least 2x the CSA of the core. So for an 8" core it should be in excess of 100"sq. It also seems that by creating a venturi effect with the manifold the smoother (edges/corners) the transition from the gasses around the barrel/riser to the exhaust duct the better. I think Jesse Biggs current system is an excellent example of that principle. John Adamz wrote: I've read extensive discussions about the size of the manifold area here and on the donkey proboards (research by Peterburg), and the conclusion was that it needed to start at least 2x the CSA of the core. So for an 8" core it should be in excess of 100"sq. It also seems that by creating a venturi effect with the manifold the smoother (edges/corners) the transition from the gasses around the barrel/riser to the exhaust duct the better. I wouldn't quite put it that way... The pipe leaving the manifold is 1x the riser CSA. So it should be possible to have the area going down to that being 1x. The reason it generally isn't has to do with the geometry. The CSA that matters is right at the point where the outlet meets the manifold. The space from the outlet to the outside of the riser/burn tunnel is quite narrow and so for constant CSA that gap needs to go all the way around the outlet, but can't because of the bottom of the manifold is at the same height as the outlet. So the CSA has to be measured using just the top of the outlet. Also, even though the outlet is mostly round, for CSA measurements it needs to be treated as square mostly (some open tank bottom ends circumference works), in other words an 8 inch pipe cannot be measured as .5 of circumference for calculating CSA, it is closer to just 8 inches. If the manifold was to be built below the burn tunnel with an open space in front of the outlet, then the area feeding that space could be 1x CSA of the riser. In other words the flue path must be at least 1x riser CSA all the way and in most cases (assuming cob manifold) the CSA feeding the manifold area has to be much bigger in order for the feed to outlet to make that 1x riser CSA. Lifting the outlet up 4 inches or so from the bottom of the manifold space may make a difference too as it unblankets (is that a word?) the bottom half of the outlet. It is certainly a hard area to get right.